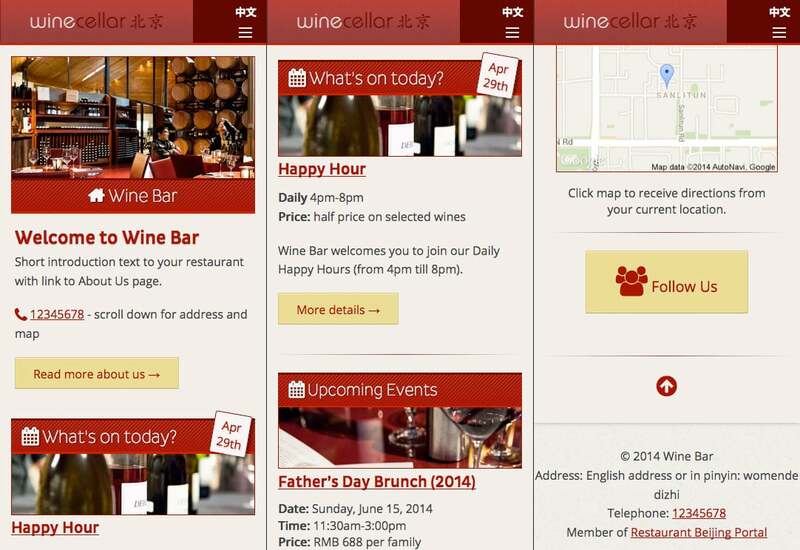 Concept website on how we think restaurants (in Beijing) should profile their business online. 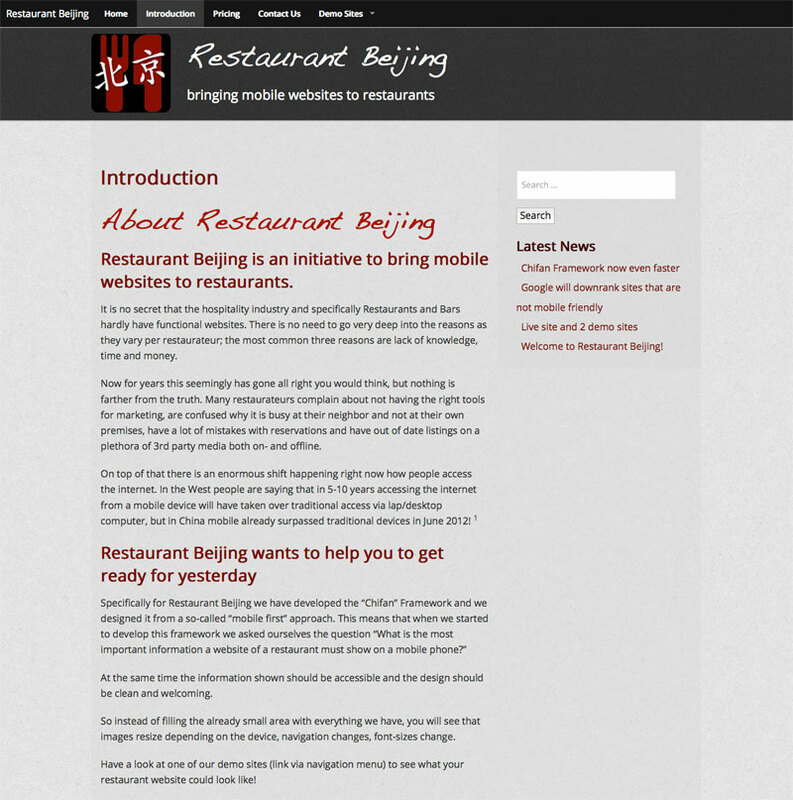 Restaurant Beijing was a concept website on how we think restaurants (or any venue in the hospitality industry for that matter) in Beijing (at the time) should profile their business online. internet penetration in China is almost 50% (at the end of 2013) and 81% of those people use a mobile device to get online. There are literally thousands and thousands of restaurants and 4 out of 5 of their potential customers walks around with a smartphone. If a restaurant cannot be reached on that smartphone, that is instantly lost business. 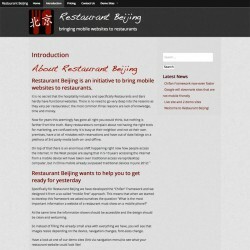 With Restaurant Beijing we have developed a network with mobile optimised websites. We have asked ourselves the question “What is the most important information a website of a restaurant must show on a mobile device?” and have built the Chifan (which means eating in Mandarin Chinese) framework around the answers to that question. 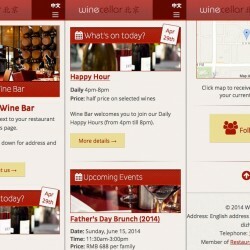 The framework is used as a master theme template and the sites in the network can all use a very lightweight child theme, specifically designed to the wishes of the restaurant. Specifically for this project we developed the Mobile Map Widget plugin to be able to serve a static map image with the location of the restaurant. The image is even optimized for retina screens. – links to social media page and shows the address in English and pinyin when on the English language and in Chinese when that language has been selected. The Chifan framework furthermore comes with with an online reservation system, a unique way to introduce the Chef and his menu and a Contact page that that pulls its content from the options the restaurateur has to fill in when taking the site in use.